You missed the heat wave! 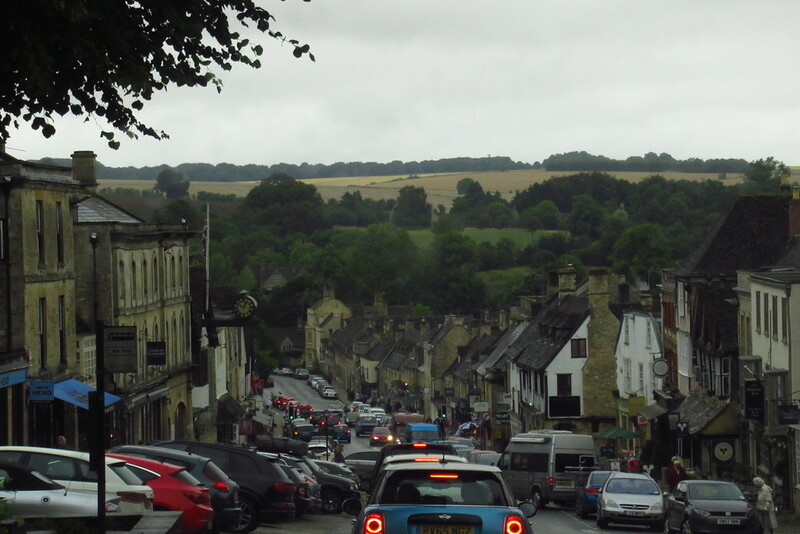 A great photo of a village packed with visitors on a dismal day..do hope the sun shines for you soon. ahh, you're in the UK, give me a shout if you get up Lincoln way, it would be great to meet up! OMG, that traffic is awful. What bad luck you couldn't stop and look around. Nice village- so much traffic! Could be somewhere around here too! When it is wet, they all get in their cars. When it is very hot, the same thing. Hard to win in the Cotswolds in Summer with the narrow roads and lack of parking, but I hope you enjoyed it. Heatwave is coming back today! @30pics4jackiesdiamond Hi Jackie - but we did bring some rain with us! @golftragic The little villages are co cute - but I think we may have come at a very busy time of the year! @olivetreeann Hi Ann - I think we're here at a very busy time!! @30pics4jackiesdiamond :) Having a ripper time! @robz Wow sounds like quite an adventure your having Rob. We are in Edinburgh in a couple of weeks, I've never stopped there, just drove through when I was about 16, I'm so looking forward to it. Maybe next time you do a grand tour we can meet up! @robz I'd say so, don't they have their main holidays about now? About 20 years ago I was in London (briefly) about this time. Wanted to see what I could so hopped on one of those bus tours, but after seeing a few sites (all with big queues) the whole place grid-locked and most of us got off and walked to wherever. A bit scary since I had no idea of where I was, and only a foggy idea of where I was going. Whew. @robz I'll be interested to hear how London goes - apart from horrendously expensive. Being 20 years younger and on a tight budget I stayed in student accommodation which was very exxy and bloody awful, far worse than any student accomodation I've stayed in anywhere else. I'd spent a week at a conference at St Andrew's in a very posh student hall (think the Royals) so it was a real culture shock!! Tried haggis though and I liked it too.